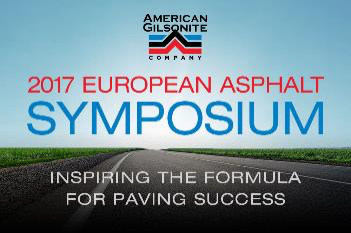 American Gilsonite Company recently hosted the 2017 European Asphalt Symposium in Cologne, Germany to give road paving engineers from across the continent an opportunity to learn about the latest advancements in Gilsonite asphalt modification technology. Dr. Peter Sebaaly is professor of Civil Engineering and Director of the Western Regional Superpave Center and the Pavement Engineering & Science Program at the University of Nevada, Reno. Dr. Sebaaly gave a presentation on “Improving Asphalt Strength, Reducing Rutting and Cracking”. 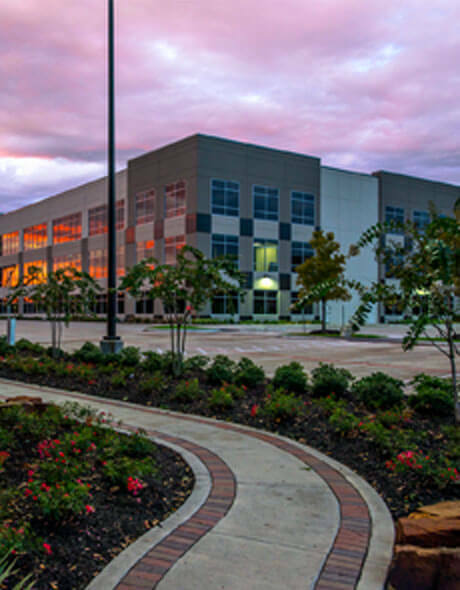 Dr. Geoff Rowe is president of Abatech, a technology company that develops software packages for pavement and materials engineering. Dr. Rowe gave the audience insights into “Increasing the PG Grade of Your Superpave Mix Design”, based on extensive laboratory analysis and real-world results. 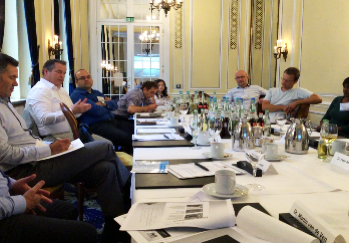 Michael Leimer is managing director for Advanced Chemical Trading, an official distributor of Gilsonite asphalt additives for the European market. 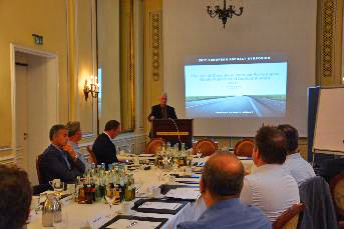 Mr. Leimer presented the findings of a research program by Asphalta, Berlin concerning the use of Gilsonite in Mastic Asphalt. Rob Hoogland is Managing Principal of Minerals & Chemicals Assistance B.V., a Dutch company that specializes in providing raw materials used in a wide variety of applications, including road construction. Mr. Hoogland presented “Gilsonite and Rejuvenators – Solutions for Today’s Bitumen” which included findings from research conducted by Kuwait Petroleum Research & Technology. Attendees were invited to share their success stories with their colleagues. 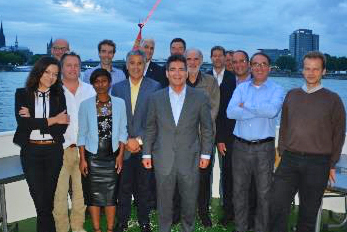 In addition to the symposium, participants were treated to a dinner cruise, where they had the chance to get acquainted and enjoy the local scenery.